James Clifton Williams, Jr. was born March 26, 1923, in Traskwood, Arkansas. He began playing horn, piano and mellophone as a child and was a member of the Little Rock High School Band. He then graduated from Louisiana State University in 1947 with a Bachelor of Music degree and Eastman School of Music in 1949 with a Masters of Music degree. It was at these institutions where he studied with Helen Gunderson, Bernard Fogers and Howard Hanson. Hanson encouraged Williams to write for wind band to gain a larger audience than if he kept to writing for orchestra only. 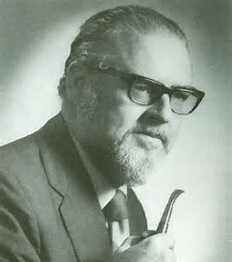 Williams then went on to teach composition at The University of Texas at Austin, where he stayed until 1966 when he was appointed Chair of the Theory and Composition Department at the University of Miami. Clifton Williams passed away a short ten years later from cancer, on February 12, 1976.